Get the party going with these Zona-designed small paper plates featuring a bold school name and logo in the center. Cleaning the dirty dishes after the party is a thing of the past! All the best parties have a fun theme a great host and plenty of Arizona spirit! This 8-pack of party invitations is perfect for a graduation tailgate or birthday party for your favorite Wildcats fans. The invitations are printed on high-quality cardstock and feature team-colored balloons and confetti an Arizona logo and space to hand-write all the necessary party details. Plus plain white envelopes are included ensuring that these fun invitations won’t require any special postage. It’s the perfect way to let people know about a special celebration! This team logo print tissue paper is the perfect embellishment for birthday gifts for the avid Wildcat fan in your life. It’s also a wonderful way to present the recent grad with a token of congratulations! Each packet includes five 20″ x 30″ sheets with an all-over team colored logo print and can be paired with a team logo gift bag for a special touch. © 2011 EverythingArizonaWildcats. All rights reserved. 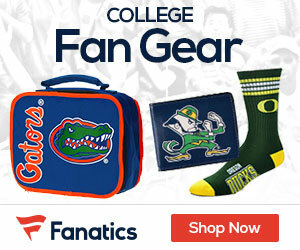 EverythingArizonaWildcats is in no way affiliated with the University of Arizona.